Many of us don’t do dairy very well. Milk and cheese can be a painful and unpleasant experience once the digestion process gets going. It’s not always the lactose (milk sugar) causing problems though… some may actually be intolerant to the milk protein. Fortunately for those people, there may be a solution that doesn’t require giving up dairy foods altogether. 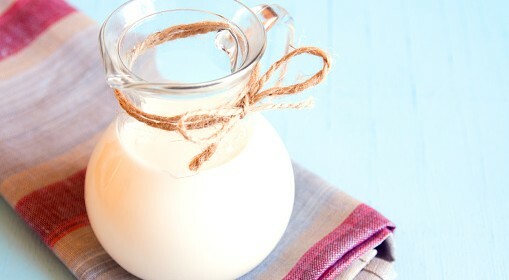 Research from Curtin University in Western Australia has found that milk drinkers may experience digestive health benefits by switching from regular milk to A2 milk. The study included 41 participants that had to drink 750mL of milk per day for two weeks. The milk contained either pure A1 or pure A2 protein milk. After washout periods, participants switched to the alternative milk for a final two weeks. Effects on their digestion and stools were examined. This was the first ever study to investigate how the two milk proteins affect the digestive health of humans. Ordinary milk drinkers, who did not consider themselves to be milk intolerant, found they had slightly softer stools when they consumed A1 milk as opposed to A2 milk. The study was small, but it paves the way for larger trials comparing milk proteins. A1 milk is the most common type of milk consumed today, and is a result of a genetic mutation that occurred nearly 10,000 years ago in dairy cows. A1 protein is thought to cause the majority of symptoms for dairy intolerance, and is linked with diseases such as autism, cardiovascular disease and type 1 diabetes. Older, more traditional breeds of dairy cow contain only the A2 protein, which appears to be much better tolerated and digested by humans. Typical milk on the shelves contain approximately 60% A2 and 40% A1 protein. 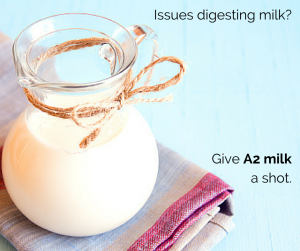 A2 milk does not contain any A1 protein, and is worth a trial if regular milk gives you digestive stress. Do you suspect you could have a food intolerance? There are many alternatives available to relieve symptoms and improve your health. To find out more, you can call us on 08 8911 0622 or simply enquire here.